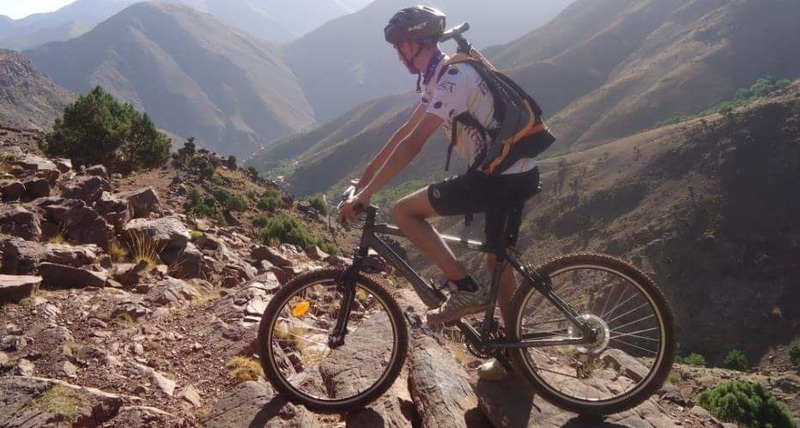 Transfer by minibus and jeep to Demnateand Ait Adel in the High Atlas Mountains. First bike tour through the Tessaoute Tal. Overnight stay at Guest House Ait-Ali. Bike route: 40 km up and down, 700 vertical meters. 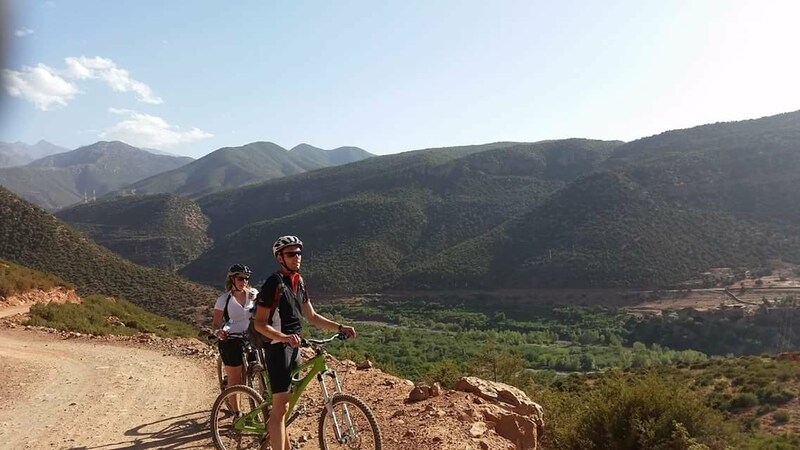 We follow the river Tessaoute to Amezrinear Jbel Mgoun. Overnight stay at a traditional Berber house in Imin Oulaoune. Bike route: 50 km up and down, 600 vertical meters. A more challenging section takes us through the Roses Valley to Dadès Gorge. Overnight stay at a guesthouse. Bike route: 50 km up and down, 700 vertical meters. 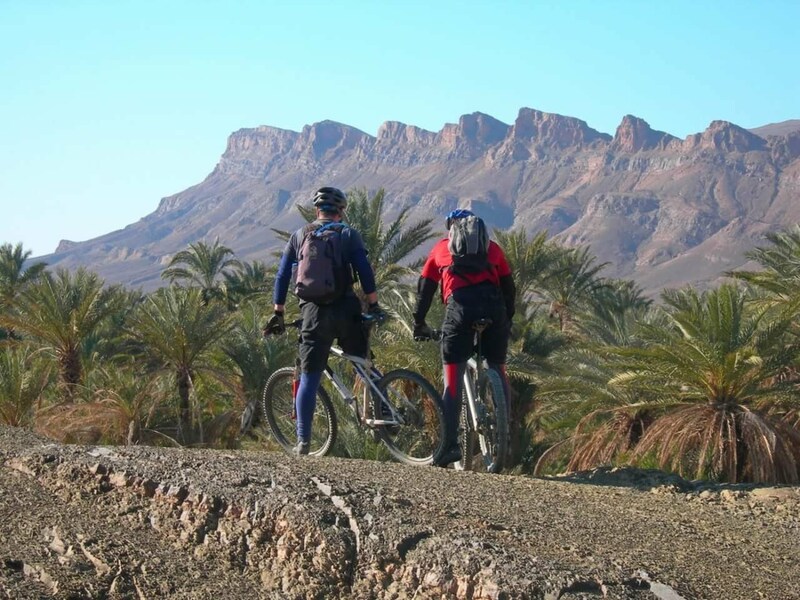 We continue into the Anti Atlas range to the highest point of the entire trip at Jbel Saghro. Overnight stay with a Berber family at the Auberge Bab n Ali. Bike route: 50 km, mainly uphill, vertical gain 1000 meters. A fantastic finish heading south to Nkob and into the Draa Valley, lunch under palm trees. Back to Agdez and Ouarzazate by car. Overnight stay at the Hotel Riad in Marrakech. Bike route: 30 km through ever changing countryside, approx. 200 vertical meters. Jemaa el-Fnaa (the square of pleasures and the beheaded), the city walls (12 km long and dating from the 12 th century), the souks (a labyrinth of narrow alleys, passages and vaults with bazaars) or to the Koutoubia Mosque (the 77m-high landmark of the city). There will be time for strolling, shopping or visiting a traditional Hamam bathhouse, Overnight stay at the Hotel Riad. Enough time for a pleasant breakfast, transfer to Marrakech airport, departure.